Don Mulhall has provided the race management for the Penticton Dragon Boat Festival for all of its 18 years. 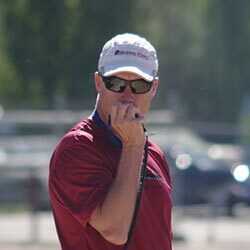 Formerly with GO Rowing & Paddling Association, Don has also provided race management for some of BC’s bigger dragon boat and outrigger events – Nanaimo, Kelowna, BC Senior’s Games (various locations) and Vernon. Using Millennium dragon boats, our fleet is consistently trouble-free, and ‘consistently consistent’ (identical hulls in all races – not a combination of different boats and manufacturers).